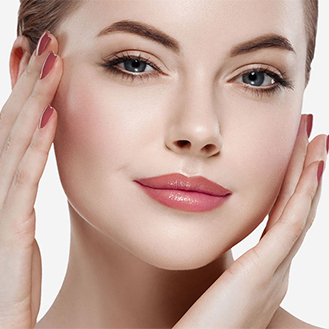 Fine lines also known as expression lines aree are the lines in the face that can be seen especially when the skin is stretched. 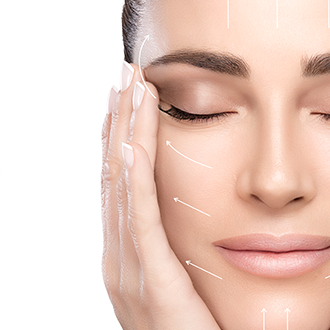 The common areas where fine lines are visible are the corner of the eyes or crow’s feet, below the eyes or tear troughs, in between the eyebrows or frown lines, corner of the mouth or marionette lines and above the line or the vertical lip lines. The perfect lip should be clearly defined, have adequate volume, free from discoluration and from fine lines above and below the lip border. Full and shapely lips are with aesthetic values of youth, sensuality and beauty, but are also associated with gentleness and approachability. As you age, the muscles and tissue structures that support your eyelids gradually weaken. Saggy skin, in combination with an accumulation of fluid in the area, can make the under-eye area appear swollen or puffy. Having puffy eyes and dark eye circles can affect your image and self- confidence, making you look tired and worn out.